So You Think You Can Mom? : The Greatest Show on Earth! We celebrated my husband's birthday by taking him to the circus! 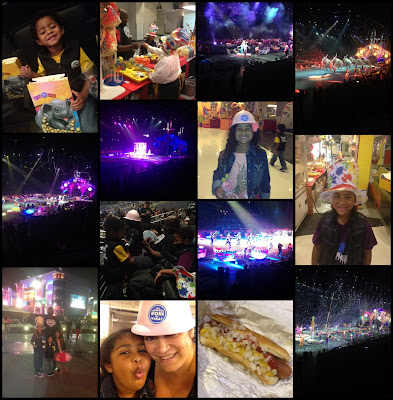 We both have very fond memories of the circus from our childhoods and we always look forward to taking our kids to see the Ringling Bros. and Barnum & Bailey show every time it visits Los Angeles. This year's show is called "Built to Amaze" and it was our favorite show thus far. I loved what they did with the "Built to Amaze" theme. Everywhere I looked, I saw a hard hat and a smiling face. We had an amazing night filled with excitement and laughter. We're already looking forward to next year! There's still time to catch the show at the Citizen's Bank Arena in Ontario or at the Honda Center in Anaheim! You don't want to miss this show! For more info on tickets and show times click here.